Future Proves he isn’t an ABSENT FATHER! Ciara and Future have not been pictured together in a WHILE…rumors have been spreading that they split up. 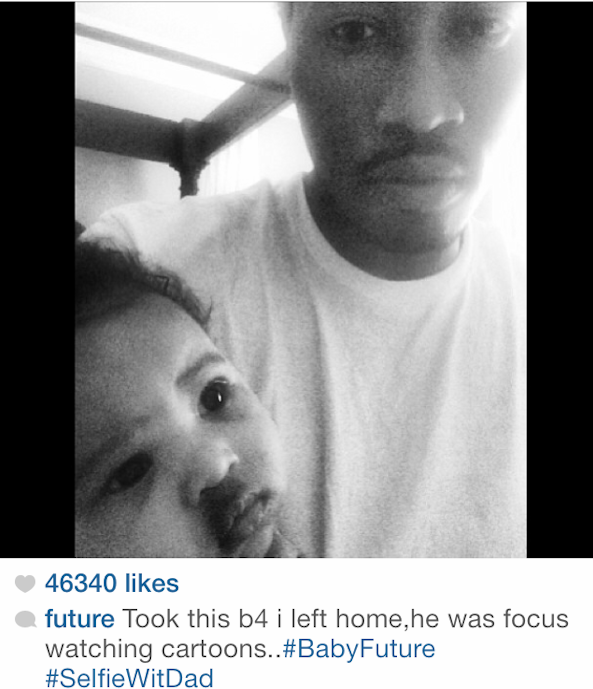 Future has been receiving the HATE for being “absent” in his newborn Future Jr.’s life….so I guess he decided to quiet down the rumors and post this pic on Instagram with his son. He and Ciara have yet to be spotted together.